SAUNDERS, EDWARD MANNING, Baptist clergyman and author; b. 20 Dec. 1829 in Aylesford, N.S., third of the five sons of David Saunders and Elizabeth Rhodes; m. 22 Dec. 1858 Maria Kisboro Freeman in Milton, N.S., and they had seven children; d. 15 March 1916 in Ottawa. Born into a family of New England planter descent, Edward Manning Saunders was named after an early Nova Scotia Baptist minister, Edward Manning*. After entering Acadia College in Wolfville in 1854, Saunders was instrumental in instigating a revival which swept the college, Horton Academy, and the town the following year and resulted in the conversion of many of those who would later be denominational leaders, such as Daniel Morse Welton* and Theodore Harding Rand*. For Saunders the experience was a turning-point. As he expressed it, “To me, personally, unimpressible as I am by outward conditions, it was the recommencement of my life for good.” Upon graduating ba from Acadia in 1858, he was called to the pastorate of the Berwick Baptist church, where he was ordained to the ministry in December. In 1860 he studied for a year at Newton Theological Institute in Massachusetts, and he received an ma from Acadia in 1864. Saunders’s marriage to Maria Freeman at the beginning of his career had provided the somewhat austere and aloof young minister with a warm, bright, and socially conscious companion who added an important dimension to his ministry and his home life. The warmth and the intellectual atmosphere of the Saunders home in Berwick are clearly portrayed in their daughter Margaret Marshall*’s largely autobiographical novel Beautiful Joe. Saunders’s call to the prestigious Granville Street Baptist Church (now First Baptist) in Halifax in 1867 was a sign of his growing importance within the denomination. It also provided him and his family with a very different social milieu. Saunders became pastor at a particularly difficult time in the life of the church, it having been deeply and bitterly divided over the dismissal of its previous minister, the Reverend John Pryor*, as a result of sexual and financial scandals which rocked Halifax itself and raised important questions concerning church government and local autonomy within the broader Baptist community. Saunders appears to have been able largely to heal the wounds, and he presided over an expanding church for the next 14 years. Saunders’s long service to Acadia began in 1875 with his election as a member of the board of governors, a position he held for the next 32 years. The minutes of the board show his exemplary record of attendance and willingness to serve the college in many capacities. He was active in the rebuilding of Acadia after the disastrous fire of 1877, sat on a number of financial and fund-raising committees, concerned himself with matters of curriculum, assisted in resisting the college consolidation movement of the 1880s, and eventually presided as chairman of the board. Only the bitter controversy over the appointment in 1883 of his close friend T. H. Rand to the chair of education and history clouded his usually warm relations with the board and faculty. His service to the institution had been recognized in 1882 with the conferring of an honorary dd. His efforts on behalf of the denomination were equally impressive. He acted for many years as secretary-treasurer of the Ministerial Relief and Aid Fund, pioneering the efforts to aid aged and ill pastors. The general lack of interest and support by most churches was denounced by Saunders as “a grievous wrong.” From 1881 to 1884 he was joint proprietor and coeditor of the Christian Visitor (Saint John, N.B. ), one of the newspapers serving Maritime Baptists. In 1902 he was elected president of the Baptist Convention of the Maritime Provinces, the highest office of that denomination. During his later years he was also drawn to interdenominational activities, serving for many years as chaplain of the Halifax City Home (the former poorhouse) and working with the Evangelical Alliance. On several occasions he served as vice-president of the British American Book and Tract Society, an organization with which he had long been affiliated. The Saunders family was also extensively involved in movements of social reform in Halifax, an activity best seen in the career of Margaret Marshall Saunders. Saunders’s interest in history had probably been awakened at Acadia, where as a student he came under the powerful influence of John Mockett Cramp*. His most important work is History of the Baptists of the Maritime provinces (Halifax, 1902), based on original research as well as Cramp’s denominational history. Saunders’s Three premiers of Nova Scotia: the Hon. J. W. Johnstone, the Hon. 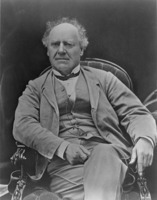 Joseph Howe, the Hon. Charles Tupper . . . (Toronto, 1909) is still frequently referred to, but reflects the strong 19th-century Maritime Baptist bias against Joseph Howe* and Saunders’s preference for his coreligionists James William Johnston* and Charles Tupper. His Life and letters of the Rt. Hon. 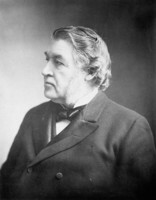 Sir Charles Tupper, bart., k.c.m.g. (2v., London, 1916) was completed only a few months before his death. Saunders’s interest in education and literary pursuits is well reflected in his encouragement of his daughter’s writing career. Margaret Marshall was given a solid classical education by her father and then sent to Scotland to attend school. He encouraged her to write her first successful novel and assisted her career in many ways, dealing with difficult publishers and thorny problems of international copyright. To the end of his life Saunders remained interested in new ideas and experiences. At the age of 86 he lamented the departure of a flotilla of submarines from Halifax Harbour before he managed to get on board one of them. A highlight of his last years was dinner with the educational leader Booker Taliaferro Washington (“I would rather see Booker, than any other man in America,” he wrote). Although ahead of his times in such areas as the role of women in society, social reform, and female education, Saunders found it much more difficult to accept some of the late-19th-century shifts in theology. In particular, he opposed the challenges to the traditional views of divine inspiration of the Scriptures and the emphasis on higher criticism emanating from such theological schools as Colgate-Rochester Divinity School and the University of Chicago. Saunders was in many respects a transitional figure, bridging the gap between the early patriarchs of the denomination such as his namesake and those who would lead the Baptists into the 20th century. However advanced he was in his social thinking, he remained very much a mid-19th-century figure in his theological views. 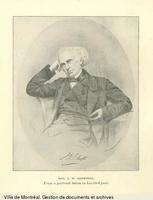 In addition to the works mentioned in his biography, Edward Manning Saunders’s publications include Defence of the governors of Acadia College in the founding of the chair of education and in the appointment of Dr. Rand, in reply to J. W Barss and others (Halifax, 1883) and “Romanism in relation to education,” in Vital questions: the discussions of the general Christian conference held in Montreal, Que., Canada. October 22nd to 25th, 1888, under the auspices and direction of the Montreal branch of the Evangelical Alliance (Montreal, 1889). Acadia Univ. Arch. (Wolfville, N.S. ), Board of governors, minutes, 1 (1850–83); M. M. Saunders papers. Atlantic Baptist Hist. Coll., Acadia Univ., Berwick, N.S., United Baptist Church, records. PANS, MG 1, 1160. Liverpool Advance (Liverpool, N.S. ), 22 March 1916. Liverpool Transcript, 30 Dec. 1858. The Acadia record, 1838–1953, comp. Watson Kirkconnell (4th ed., Wolfville, 1953). P. G. A. Allwood, “‘Joseph Howe is their Devil’: controversies among Regular Baptists in Halifax, 1827–1868,” in Repent and believe: the Baptist experience in Maritime Canada, ed. B. M. Moody (Hantsport, N.S., 1980), 75–87. The Baptist year book of the Maritime provinces . . . (Saint John, etc. ), 1870–1916. W. A. Calnek, History of the county of Annapolis, including old Port Royal and Acadia . . . , ed. A. W. Savary (Toronto, 1897; repr. Belleville, Ont., 1972). A. C. Chute with W. B. Boggs, The religious life of Acadia (Wolfville, 1933). Margaret Conrad, “‘An abiding conviction of the paramount importance of Christian education’: Theodore Harding Rand as educator, 1860–1900,” in An abiding conviction: Maritime Baptists and their world, ed. R. S. Wilson (Saint John, 1988), 155–95. A. W. H. Eaton, The history of Kings County, Nova Scotia . . . (Salem, Mass., 1910; repr. Belleville, 1972). E. D. King and J. G. Quigley, One hundred and fifty years of the First Baptist Church, Halifax, N.S. ([Halifax, 1977?]). B. M. Moody, “Joseph Howe, the Baptists, and the ‘college question,’” in The proceedings of the Joseph Howe symposium, Mount Allison University, ed. W. A. Hunt (Halifax, 1984), 53–70. J. Y. Payzant, Church government: a letter to Rev. E. M. Saunders, pastor of Granville Street Baptist Church, Halifax (Halifax, 1868). John Pryor, Letter to the Nova Scotia Central Baptist Association (Cambridge, Mass., 1868). K. E. Sanders, “Margaret Marshall Saunders: children’s literature as an expression of early twentieth century social reform” (ma thesis, Dalhousie Univ., Halifax, 1978). [M.] M. Saunders, Beautiful Joe: an autobiography (Philadelphia, 1893). Barry M. Moody, “SAUNDERS, EDWARD MANNING,” in Dictionary of Canadian Biography, vol. 14, University of Toronto/Université Laval, 2003–, accessed April 20, 2019, http://www.biographi.ca/en/bio/saunders_edward_manning_14E.html.